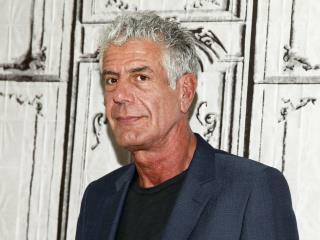 (Newser) – Chef, author, and TV personality Anthony Bourdain is dead at 61, and the cause is suicide, confirms CNN. The network, which is home to his Emmy-award-winning series Parts Unknown, released this statement Friday: "It is with extraordinary sadness we can confirm the death of our friend and colleague, Anthony Bourdain. His love of great adventure, new friends, fine food and drink, and the remarkable stories of the world made him a unique storyteller. His talents never ceased to amaze us and we will miss him very much. Our thoughts and prayers are with his daughter and family at this incredibly difficult time." The more I read, the less inclined I am towards suicide in this. It just doesn't add up. It seems like an easy way out for the police, to wash their hands of what could be an incredibly tangled mess. I pity anyone who commits suicide, they must be miserably depressed. That said, with all the press he's getting, he could have been nothing other than a far-left liberal...no conservative would have been shown such love in the mainstream press.